The time frame in which humans can turn around climate change before the onset of disastrous consequences is rapidly shrinking. A UN report published Monday morning warned that we are on track to face warming of 1.5 degrees Celsius (2.7 degrees Fahrenheit) above pre-industrial levels by 2040. To prevent that number from increasing, humans would have to reduce global emissions by 45 percent of 2010 levels by 2030, and reach net zero by 2050. To give perspective on how close we are to achieving those results, oil production is at an all-time high, more than doubling in the last half-century. At 1 degree Celsius above pre-industrial levels, we are already beginning to see the consequences of a warming planet. Half of the coral in the Great Barrier Reef has died since 2016. The past four years of Arctic sea ice are the lowest four on record. And human-caused climate change is a driving factor behind what is being termed the "Sixth Mass Extinction" in Earth's history. Kim Cobb, the Georgia Power Chair and ADVANCE Professor at Georgia Institute of Technology, has conducted research on coral reefs in the Pacific Ocean for the past 20 years, and has experienced firsthand the effects of the warming climate. "The biggest effects of climate change will be at low-lying atolls, like the Republic of Kiribati," Cobb said. "These issues bring [climate change] to me in a way that makes it very visceral, very emotional." Though the jump from 1 to 1.5 degrees Celsius might seem trivial, the report, which was written and edited by 91 scientists from 40 different countries, describes numerous impacts to human health, including trillions of dollars in damage, inundation of coastal communities, increased fatalities from heat spikes and extreme weather events, and extreme droughts. 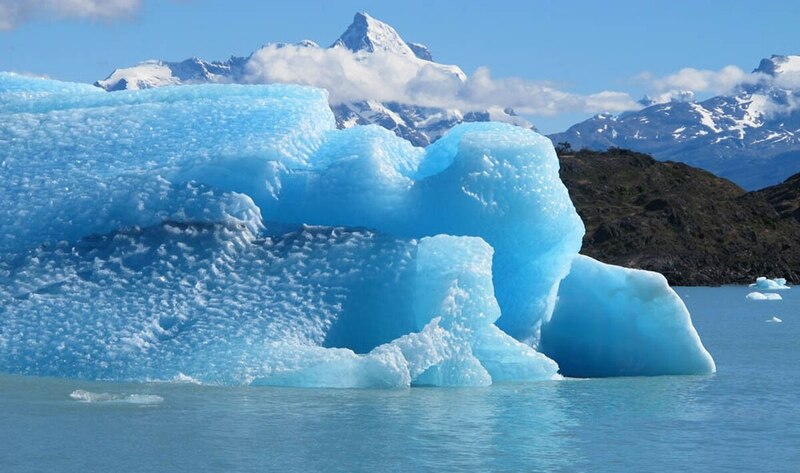 Between 1.5 and 2 degrees Celsius, there will be "irreversible" melting of the Greenland ice sheet, resulting in a multi-meter global sea level rise. The brunt of the impact will be borne by poor, undeveloped nations like the Republic of Kiribati, which face the serious risk of disappearing beneath the ocean surface. But the US faces risks, too. Rising sea levels will affect all low-lying coastal communities, including a large portion of Florida. Heat waves and storms will intensify along the Eastern seaboard and Gulf of Mexico. Unfamiliar diseases may spring up as the world's flora and fauna migrate with the changing climate. And climate refugees — perhaps displaced persons from island nations overrun with seawater — will seek asylum within our country's borders. President Trump has expressed skepticism on the report, but has yet to comment further on the matter. Despite the report's grave warnings, the more serious threat comes if we fail to act. Much of the report is dedicated to underscoring the mitigation possible by limiting global warming to 1.5 degrees Celsius, and providing pathways to reach that goal. Among the consequences of reaching 2 degrees warming are: higher heat-related mortality, lower agricultural and fishery yields, high stress to water systems, increased sea level rise (affecting an additional 10 million people), and roughly double the loss of habitable range for Earth's insects, plants, and vertebrates. Human efforts to address the problem, though extensive, have thus far been unsuccessful. The 2015 Paris Agreement in the latest effort to forge a global treaty to reduce emissions, but lacks a legal binding and is not supported by the US, the world's second largest emitter behind China. "I wouldn't say that efforts have failed, but that they've not moved quickly enough," said Drew Shindell, a Professor of Climate Sciences at Duke University and one of the lead authors on the UN report. "I think what we really need is to see clearly the real costs associated with polluting our atmosphere…Until we put a price on emissions that accounts for their true cost, we'll continue to make decisions that are optimal for a narrow few in the fossil fuel and car industries but are bad for the US as a whole." 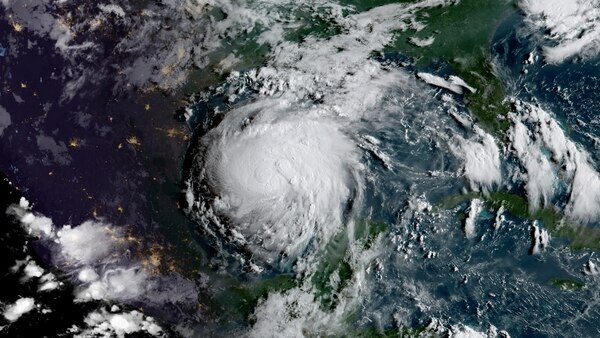 Hurricane Harvey seen from space. The 2017 hurricane has been described as the “most significant tropical cyclone rainfall event in US history,” and was linked to climate change by multiple studies. (Photo by NOAA/NASA GOES Project). The discovery of climate science is often attributed to Svante Arrhenius, the Swedish Nobel Prize-winning scientist known as the "Father of Climate Change" for his work determining the effect of increasing or decreasing atmospheric carbon dioxide on global temperature. Though, in an interesting historical footnote, it was not Arrhenius but Eunice Newton Foote, an American scientist, who some 40 years earlier experimentally proved the greenhouse effect. Foote, being a woman, was not allowed to read her paper in public, and its results faded into obscurity. In the following decades, a number of advances were made in the field, transforming climate science from a niche scientific curiosity to an essential understanding of how humans were altering the modern climate, and how it would change in the future. Notable among those advancements were the experiments of Charles Keeling, whose daily measurements of atmospheric carbon dioxide formed the now-famous Keeling Curve, showing a steady and unprecedented increase in the concentration of the greenhouse gas. By the 1970s, a proliferation of evidence suggested that Earth's climate was warming, and human greenhouse gas emissions were the cause. The problem — unique in its borderless, all-encompassing scale — demanded a global solution. That solution almost happened. More than 30 years ago, world powers came within "several signatures" of creating a binding agreement to lower fossil fuel consumption. And yet, for a number of reasons, notably American reluctance to accept the terms, the agreement fell short. Add in a massive misinformation campaign by the fossil fuel industry and decades of political indecisiveness and you arrive in 2018: the human effort to prevent climate change has stalled, and so climate change itself has carried on. 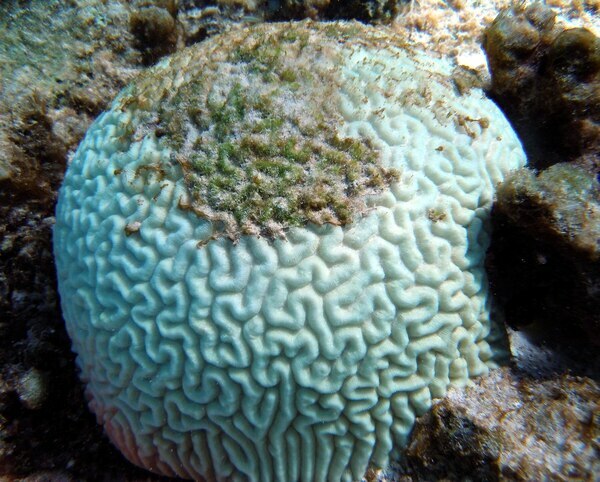 A brain coral shows signs of bleaching. (Photo by NOAA National Ocean Service). Despite the scientific consensus on climate change, skepticism and apathy abound. Some doubt the veracity of claims made by "climate alarmists," questioning the scientific underpinnings behind their claims. Another common viewpoint is that, even if climate change research were true, decreasing global emissions 45 percent in the next 10 years seems impossible. A third: if the leaders of every world nation have still failed to complete a binding agreement, how can one person expect to make a significant change? Even for those on the inside of the issue — the scientists, students, and activists who were well aware of the problem before the UN report — the battle is frustrating, tiring, and most of all, lacking in progress. Senior Olivia Pearson is an Environmental Engineering major who serves as the Executive Director of the Environmental Student Assembly. Pearson, who hails from the Sierra Nevadas, has seen houses in her community destroyed by wildfires, and expressed her frustration at the apathy she sees from fellow students. "It's hard to change peoples' minds if they haven't been personally affected by climate change," Pearson said. But Pearson is resolved to continue advocating for change. "Just because something seems hopeless doesn't mean you don't put in any effort," Pearson said. "Environmentalism has to be depoliticized. The political sphere has to stop treating it like it's another point on their ballot. Every politician should be for strong environmental policies that are written in conjunction with scientists and engineers." Some of these scientists and engineers have assumed the mantle of climate activism. Peter Kalmus is a Data Scientist at the NASA Jet Propulsion Laboratory, and author of the book Being the Change: Live Well and Spark a Climate Revolution. He has not flown since 2012, among other lifestyle changes, ultimately reducing his carbon footprint to less than one-tenth the national average. "We can shift the collective culture with our individual actions," Kalmus said. "Fortunately, living with less fossil fuel and engaging politically with humanity's greatest threat is a deeply meaningful thing to do. It's healthy, connecting, and empowering." Shindell believes that each person, whether scientist or not, has an important role to play in reducing their impact on the planet. "Ordinary people can do something, like choosing energy efficient appliances, walking, biking and taking public transit more, and eating less red meat," Shindell said. "We can also vote to get leaders in office who will put the interests of the public at large ahead of wealthy donors from the fossil fuel and automotive industries. That's I think the critical step." In 2016, Cobb returned to the atoll in Kiribati where she had been collecting samples for 20 years. Instead of the thriving ecosystem she was accustomed to seeing, she found a reef ravaged by the worst bleaching event in recorded history. It was an event that she describes as simultaneously depressing and catalyzing; With the full extent of climate change finally hitting home for her, Cobb found in herself a renewed passion for doing her part to protect the Earth. "We [scientists] are the ones who feel the urgency of the problem the most," Cobb said. "We have the really unique gift of seeing into the future. We know what's coming down the tracks. We know it better than anyone else in the planet. The question is: what do we do with that gift? Do we act on it?" All views expressed by the scientists in this article are their own and are not representative of their respective institutions.